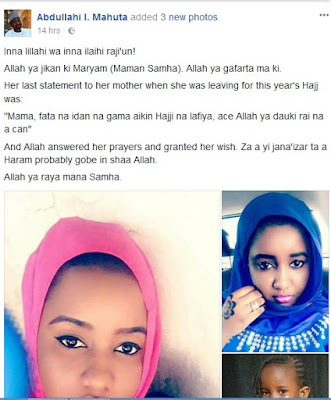 A Nigerian lady has left her family and friends in sorrow following her demise in Mecca during this year's pilgrimage. 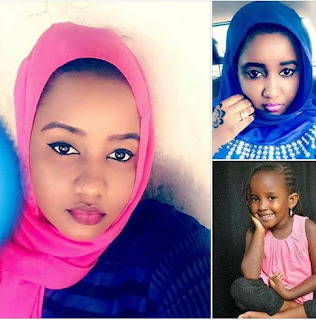 According to Abdullahi I.
Mahuta who shared the sad news, the lady's last statement to her mother when she was leaving for this year's Hajj was: 'God can take her life over there as long as she completes the Hajj pilgrimage successfully'..Her prayer was apparently answered. According to report, she died of a natural course. May her soul rest in peace. Wow but then this means we should be careful with our words. Seems more like her wish was granted... but all the same Rip to her.